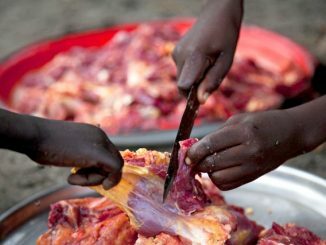 Foreign journalists are up in arms against Ugandan government for refusing to accredit them without clear reasons. Section 29(1) of the Press and Journalists Act requires all foreign journalists who wish to report from Uganda to get accreditation from the Media Council of Uganda through Uganda Media Centre. The accreditation is considered complete if the journalist pays the specified fees and is issued a card. 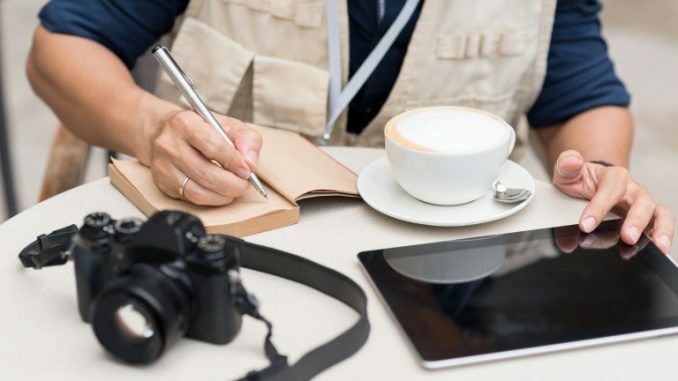 Foreign journalists applying for accreditation are expected to present a cover letter from their employer addressed to the Executive Director Media center stating the purpose of their visit, two passport size photographs, and scanned copy of their passport, filled in form G.
Those who intend to stay a period of not less than 3 months pay Shillings 600,000 while those who wish to stay beyond 3 to six months pay Shillings 800,000. 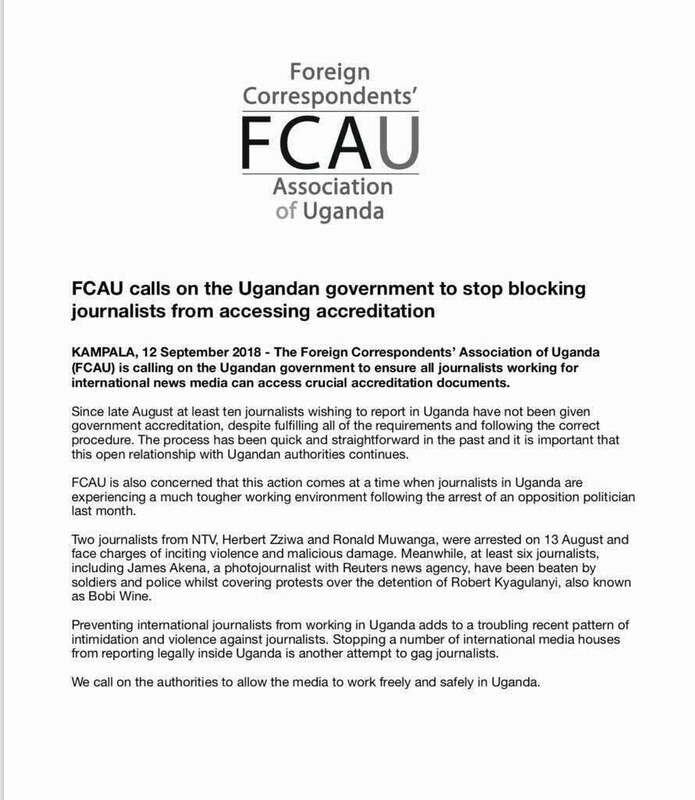 However, the Foreign Correspondents Association in Uganda (FCAU) says 10 foreign journalists been denied accreditation by government from August this year despite following the laid down procedures. According to the association, although the process has been quick and straight forward in the past, applicants are now being tossed by the media council. 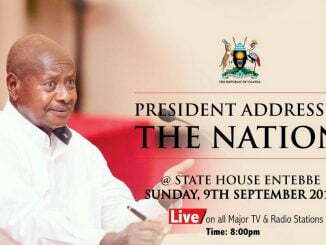 The association notes that it is unfortunate that this is happening at a time when rights of the media in Uganda are being violated. “FCAU is also concerned that this action comes at a time when journalists in Uganda are experiencing a much tougher working environment following the arrest of Kyadondo East MP, Robert Kyagulanyi Ssentamu alias Bobi Wine last month,” reads a statement from FCAU. A journalist from Europe told this publication on condition of anonymity that she has been chasing her accreditation for close to a month in vain. “Still no accreditation, I am told they have frozen the process and I may have to leave soon. They won’t give out any accreditation and they just told me out of pity when I begged them that officially all accreditation are under review,” the source told our reporter. This publication has also learnt that some Ugandan journalists who correspond for foreign media also don’t have accreditation, except those who had valid cards. “The current denials are new people who want to come and start and you know without accreditation you cannot do anything,” one of the journalists said. 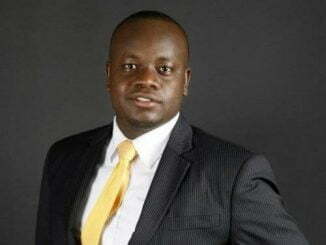 However the Executive Director Uganda Media Centre, Ofwono Opondo denies claims that government has stopped accrediting foreign journalists, saying it has only tightened the process, adding that this has nothing to do with MP, Kyagulanyi Ssentamu. Asked whether they have turned away any journalists, Opondo said he had personally cleared some journalists.